The Allergen Bureau is pleased to invite applicants for an AU$1,500 travel grant for postgraduate and early career researchers to attend and present at the 3rd Food Allergen Management Symposium 2019 (FAMS2019), Melbourne, Australia – 13-16 May 2019. The award will be selected based on the oral or poster abstract deemed by the award selection panel that Best addresses globally consistent, science-based, food allergen risk assessment and labelling. FAMS2019 is an assembly of the best minds across the spectrum of food allergen management. From researchers to consumer groups, food manufacturers, suppliers, and testing laboratories, to clinicians, dieticians, the policy makers and enforcement agencies. This biennial symposium, unique to the Southern Hemisphere, has something for all. FAMS2019 offers a 3-day symposium reaffirming the concepts of ’risk communication’, science of thresholds, reference doses, and their application. Also covered will be updates on regulation and policy, food fraud insights, frontiers in treatment and clinical research, the latest on detection methodologies from the laboratories. Applicants meeting the award criteria are advised to contact Ray Murphy, Allergen Bureau Manager, at info@allergenbureau.net, – email subject “Allergen Bureau travel grant for postgraduate and early career researchers to attend FAMS2019” providing a copy of their FAMS2019 abstract as already submitted to the FAMS Organising Committee. The deadline for abstract submission is Friday 12 April 2019 (11:59 pm AEST). Abstracts can only be submitted via email to the FAMS2019 Organising Committee at info@allergenbureau.net. Please adhere strictly to the style indicated in the Abstract Template. Please click here for Abstract Submission. Within 30 days of attending FAMS2019, the award recipient is to provide the Allergen Bureau with: a 200 word news article about their experiences at FAMS2019; a 500 word report on the FAMS2019 symposium; and an image of themselves at FAMS2019 – to be published together as a news item on the Allergen Bureau website via the Allergen Bureau eNews. 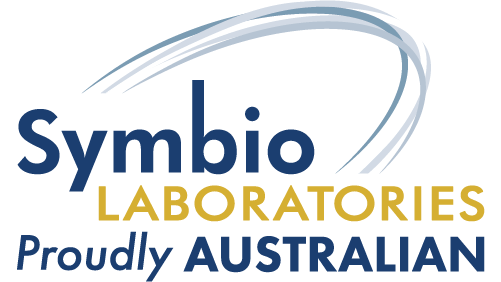 Symbio Laboratories is offering an AU$1,000 cash prize for the poster and 3-min oral presentation at FAMS2019 deemed by the award selection panel as the best research contributing to improved food allergen management, testing or analysis. FAMS2019 poster applicants wishing to participant in the 3-min oral presentations and be considered for the Symbio Laboratories prize are advised to contact Ray Murphy, Allergen Bureau Manager, at info@allergenbureau.net, – email subject “Symbio Laboratories poster-3 min oral presentation prize”. Visit the FAMS2019 website to Register Now!! Platinum Sponsorship is kindly provided by R-Biopharm. Event Management presented by The Conference Room.